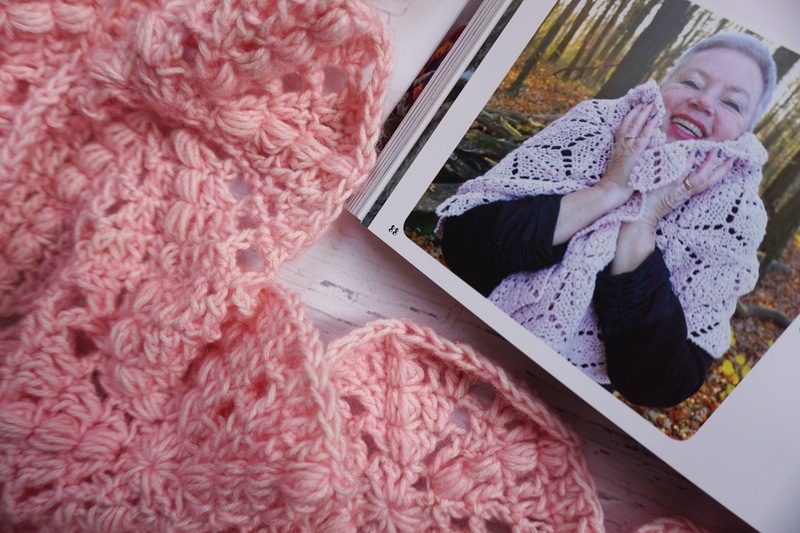 When Marianne (@marretjeroos) first mentioned that she was busy writing a book, i immediately got excited & made room on my shelf for what i knew would be one of the most incredible crochet books & patterns. 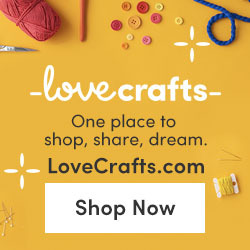 Marianne has been a huge inspiration to me as a crocheter, & if anyone should write a book full of creative makes, it would be Marianne, truly a magician with her crochet hook. So imagine my excitement when the postman rang my bell with my own copy of Marianne’s new book, Colorful Crochet, hot off the Tuva Publishing‘s desk! Well, let me just say, this book is just as incredible, if not more, than what i imagined it would be. I decided to make the Ursula Shawl first. 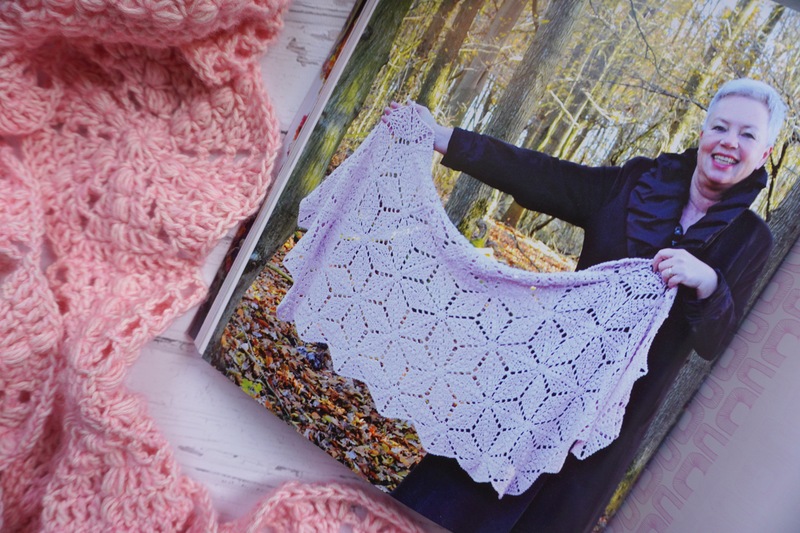 Simply because when i first peeled back the packaging wrapping the book, the photo of the Ursula Shawl on corner of the front cover, was the first thing i saw, & i instantly fell in love. Love at first sight, ahh. Its delicate, pretty, feminine, & Marianne had made it in pink.. so i HAD to make it. I also decided to make my shawl in pink (i love pink) & am using Scheepjes Stone Washed from Wool Warehouse in 820 Rose Quartz & i am about half way through my shawl & have used 3 x 50g balls with a 6mm hook. 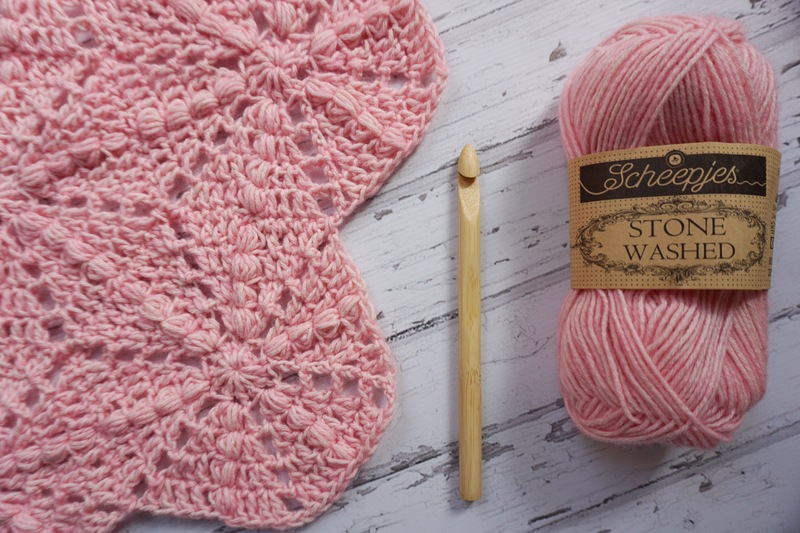 Scheepjes Stone Washed is a cotton yarn with a slight acrylic blend, that feels & looks like wool. 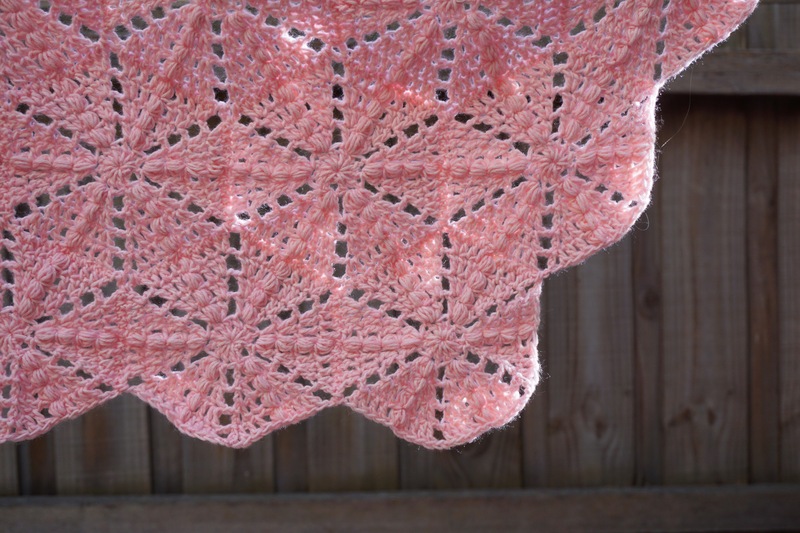 I think this shawl would be beautiful in any fiber, especially wool or cotton. Wool will give it a fluffy, softer more feminine feel, & cotton a lovely light drape for spring. Any colour would work too, i was day dreaming of making another one in black earlier. i rarely make anything in solid black, but i think it would work beautifully with this pattern. Let me start by saying this is honestly the most prettiest crochet i think i have ever made. It is so delicate, i cannot wait to wear it, i know its going to make me feel pretty. I had no problem following Marianne’s detailed pattern. It is one of those patterns that once you have made a few hexagons, it transfers to memory & you can continue making while watching tv. 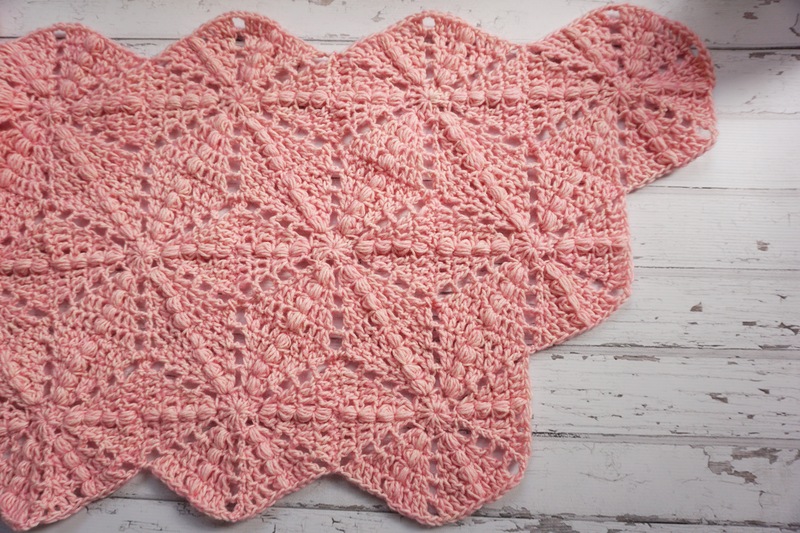 The shawl is made with hexagon motifs joined together. Marianne uses the pull through join method, i have never used this before, & i did hesitate at first, a little bit daunted with learning a new join method. BUT i just love how Marianne’s finished shawl in the book looks like it is one continuous piece, you can hardly tell they are joined motifs, & i was wanting mine to have the same look, so i jumped in. Marianne has included instructions on how to do this join, & with a little bit of practice i found it quite easy! Yay! Now i am loving this new join method, thanks Marianne 🙂 i will be using it for other projects. I love that it creates a seamless join! 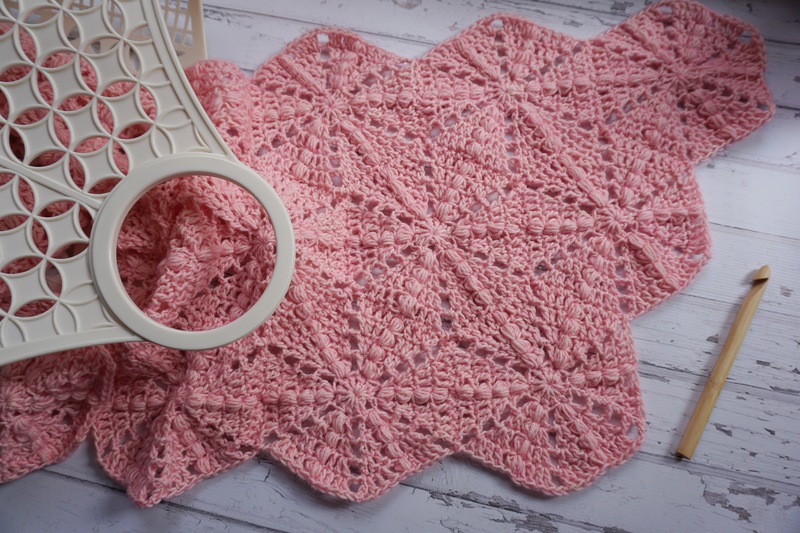 Never fear though, any join would work too – you can make all the motifs & sew them together at the end with a tapestry needle, if preferred, or use the join as you go method too. The motifs work up quickly. I was hoping to finish my shawl in time to write this, but unfortunately i have 2 poorly babies needing mummy. But, i will make sure to write another post, & of course keep posting updates on my Instagram so you can see my progress & the beautiful shawl. I have plans to make a lot more of the patterns from Colorful Crochet! The Ursula Shawl will definitely not be my only make. I love the boho cushion, & the cobblestone blanket, to name a couple. There is not one pattern in the book that i cannot see myself making, they are all timeless, tasteful & creative makes. 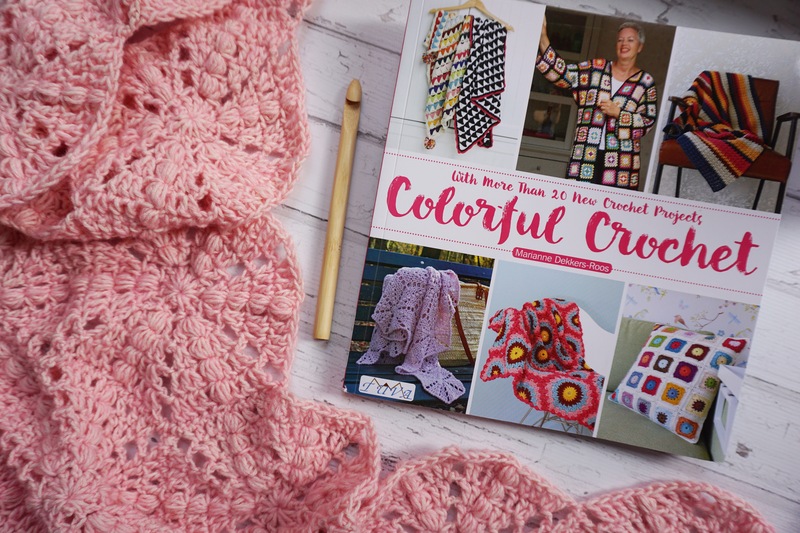 Marianne & Tuva Publishing were so generous, they have also provided me with an extra copy of Colorful Crochet to giveaway! If you head over to my Instagram page, you will find the details on how to enter. Goodluck! 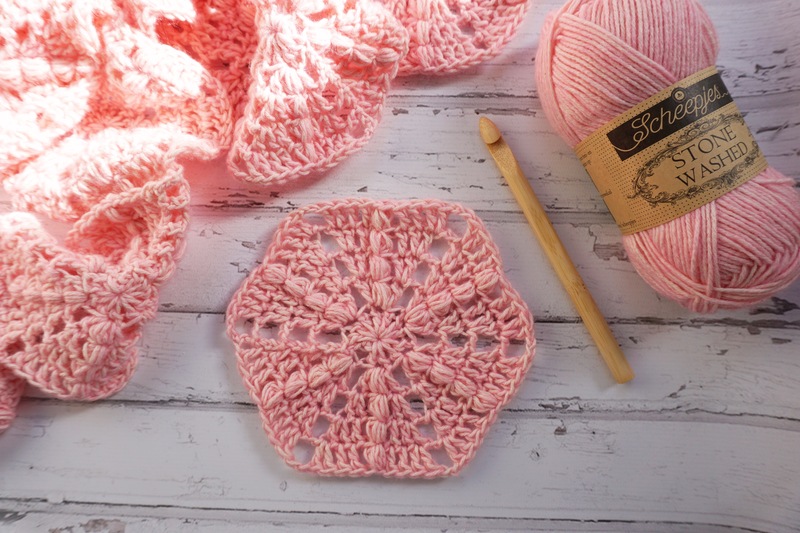 To purchase your own copy of Marianne’s book – Colorful Crochet, click here or visit Marianne’s Instagram page here for details. That is it from me, please do check back on here & my IG page to see my progress on Ursula. Tomorrow lovely Makenzie from BQueen Collection will be writing her review, so keep an eye out for her, without a doubt, gorgeous make.